I headed to Jurong West to look for the Penang Fried Kway Teow recommended by a friend at one of the coffee shops there. 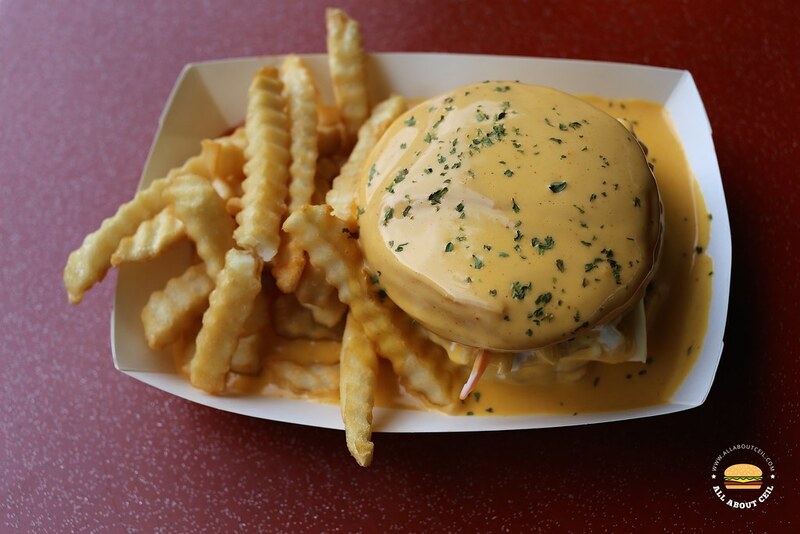 The popular cheese loaded burger is at the coffee shop nearby by a Muslim-owned Western food stall that opened in last November. I went looking for it after having the Penang Fried Kway Teow. There is only a coffee shop at Block 508 but I walked past and overlooked this stall, I walked back when I realized it got to be in that coffee shop since there is no other coffee shop in that block. It was the only customer at 1.10 pm. The hype must have already died down. There was no one at the stall. I waited for a bit before the lady seated at the table in front of the stall stood up. I showed her the picture of that infamous burger on my phone and said, "This one, please." She asked, "Do you want the chicken or beef burger?" And, I asked, "Which one do you recommend?" She said, "The one with the chicken came with 2 pieces of fried chicken patties and as for the beef burger, it is served with a slice of Ribeye steak and black pepper sauce." I decided to go with the Chicken Burger Banjir for $7.50, it is the same price for the Beef Burger Banjir as well. 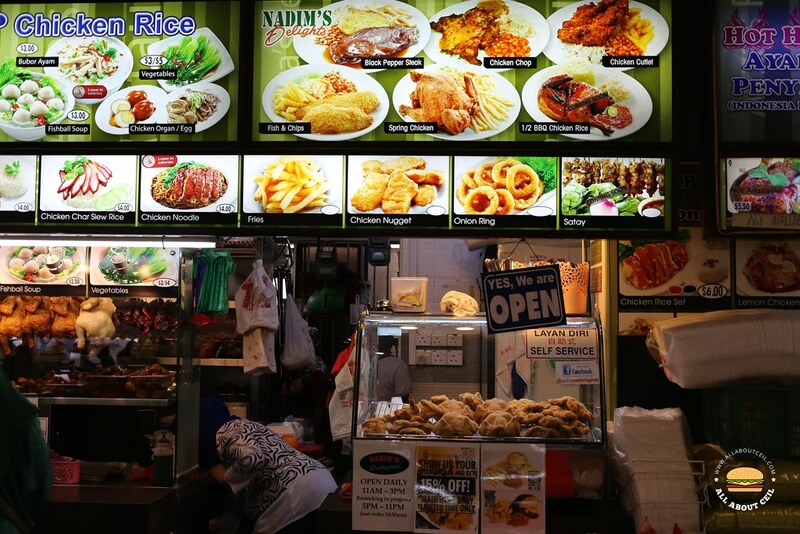 There are also Black Pepper Steak, Chicken Chop and Fish & Stick on the menu. I was given a buzzer for collection later and quite unexpectedly, it buzzed in just a couple of minutes. 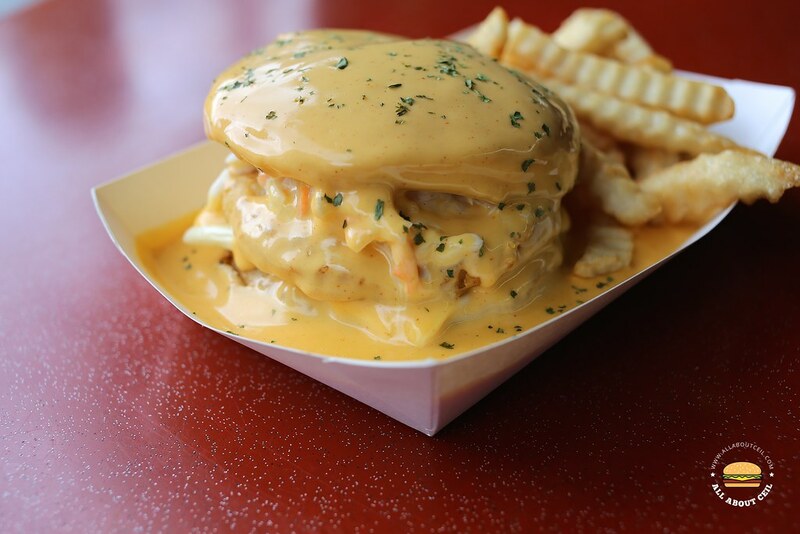 The Burger Banjir, which means "flooded burger", was placed in a paper box together with some fries and baked beans by the side then loaded with cheese sauce and served along with plastic cutlery. 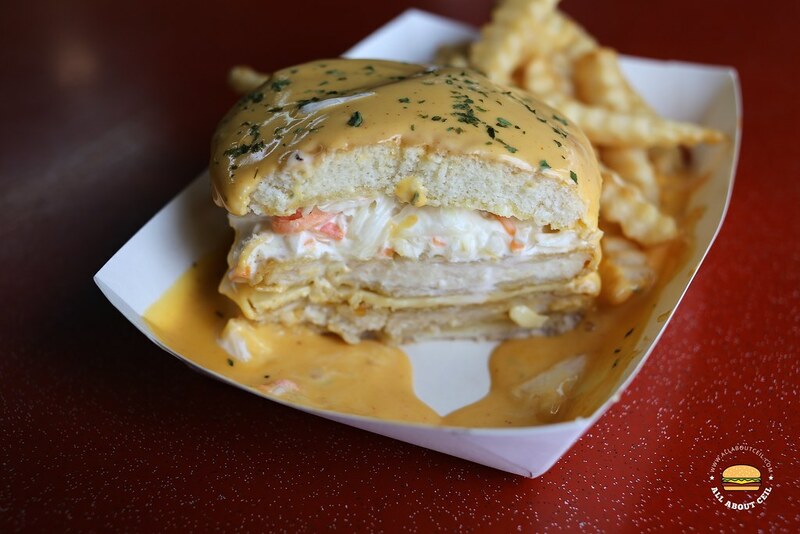 It consists of 2 fried chicken patties with a piece of cheese and sandwiched in between the buns with a dash of dried parsley lightly sprinkled on the top of the bun. The presentation was rather sloppy. My dining companion, said, "Why are they putting coleslaw in the burger? It didn't go too well." The next disappointment has to be their choice of chicken patties, it tasted like those frozen ones that are readily available in the supermarkets. And, it reminded me of Ramly Burger, in fact, an upgraded version but inferior in taste. The ultimate disappointment has to be the nacho cheese sauce, it was kind of diluted and watery and it did not actually taste like cheese. This was none other than a forgettable and rather gimmicky burger.